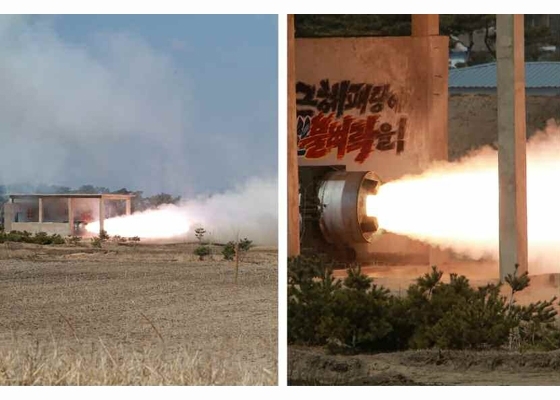 Supreme Commander of the Korean People's Army Kim Jong Un, first secretary of the Workers' Party of Korea (WPK) and first chairman of the National Defence Commission of the DPRK, personally came out to the testing site and guided the ground test of jet of high-power solid-fuel rocket engine and its cascade separation. 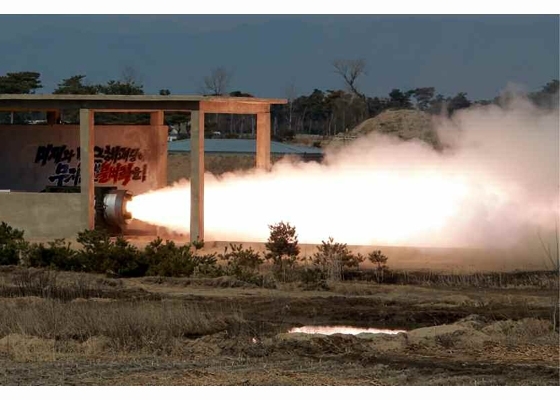 The test was aimed to examine the structural safety of the rocket engine newly designed and manufactured by the Korean style and its thrust and estimate the working specifications of heat separation system and other system. 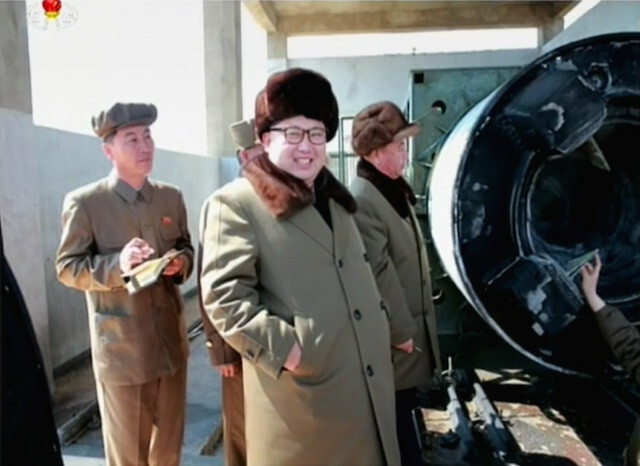 Before the test, he touched the engine smoothly and said with confidence that the test would prove successful as it was manufactured by defence scientists and technicians of the DPRK, a product of self-reliance and self-development. He gave an instruction to start the test. The engine spewed out huge flames with deafening boom. The results of the test proved that the values of estimation conformed to those of measurement to an amazing extent and they are in full line with all scientific and technological indexes. Starting at T=3h28m52s, after footage of warhead atmospheric reentry testing. Edited by Soheil, 30 January 2017 - 08:35 AM. Iranian Sejil-II solid-fuel rocket with 2000 km range, 17 meters length, 1.25 meters diameter, and detachable warhead of 500 kg, 835 seconds (13 minutes and 55 seconds) total flight time for maximum range. The Iranians' power is increasing and today, we have no restrictions in defense fields, as in our missile program, we have no technical limits anymore. Today, our scientific power has provided us the opportunity to even produce intercontinental missiles. But the question is why the Islamic Republic of Iran, despite overcoming technical limitations, do not follow such a policy? The answer is that Iran's military doctrine is defensive, not offensive. This a decision made by the highest levels of decision-making bodies in the Islamic Republic. 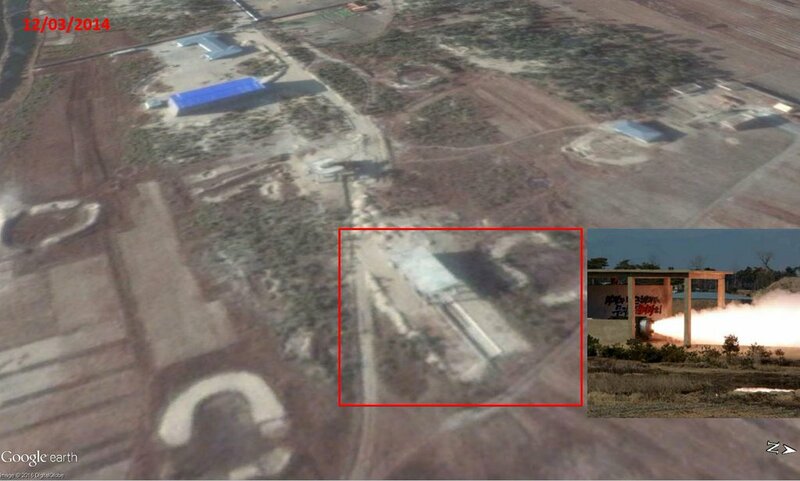 Speculation over North Korean interest in longer-range solid-fuel missiles emerged in November 2011 when it was reported seven North Koreans were at the Bid Kaneh solid-fuel rocket motor plant in Iran when it was destroyed by an explosion. 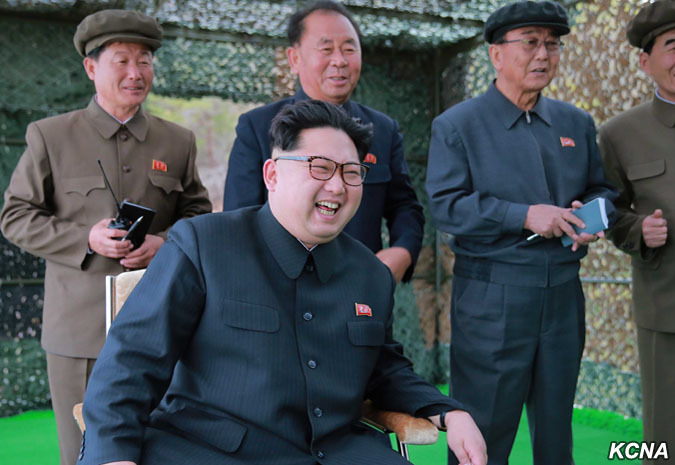 The first confirmation came on 23 March 2016 when Kim Jong-un hailed a "historic" advance in the country's nuclear strike capability, as the regime claimed it had successfully tested a solid-fuel rocket engine. 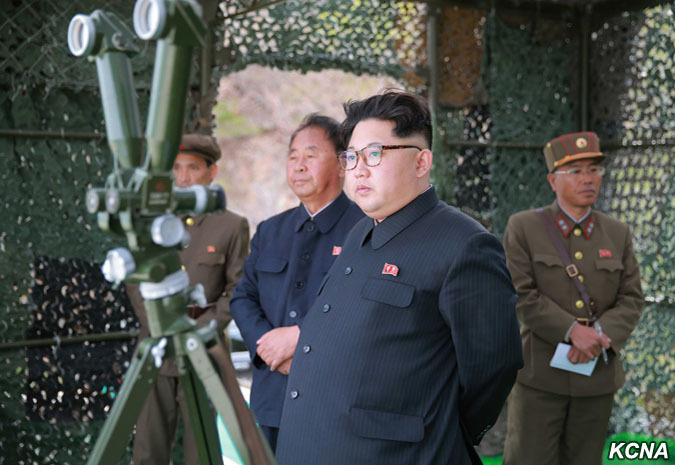 The solid-fuel rocket engine North Korea tested this week appears to be for the upper stage of a satellite launcher or a long-range missile, but it is believed to be still many years away from developing such missiles, a U.S. expert said Thursday. The engine was short, but wide in diameter, which suggests it's not a first-stage motor, he said. 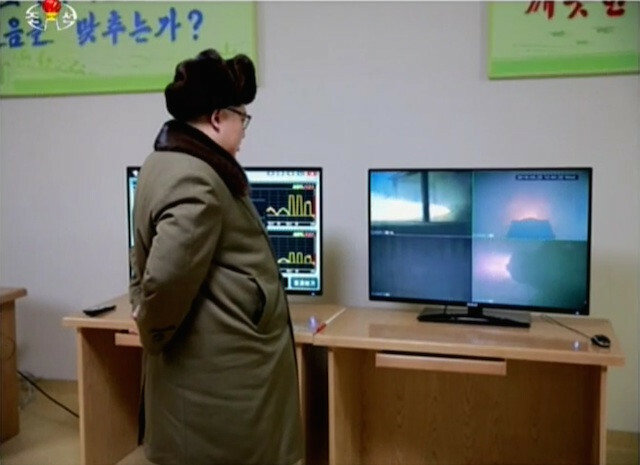 One of the photos showed the control room of the test, which suggested the rocket motor burned for about 57 seconds, which he said is too long for a first-stage rocket. "The long burning time as indicated by the control room panel and the low-pressure burn would suggest that this might be designed for the upper stage of a multi-stage rocket system." 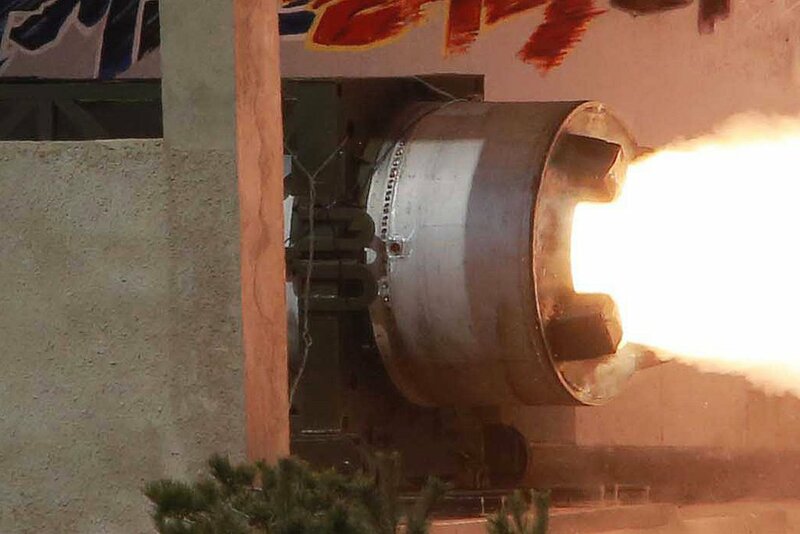 It is unclear why North Korea is pursuing solid-fuel missiles when it's been successful with liquid-propellant systems for its Hwasong-6, Rodong, Hwasong-10 and Hwasong-13/14 missiles, but Pyongyang may not be "comfortable with the relatively low performance of engines that they have and they want to go to something more advanced." "So it may be that they're looking to move in a different direction similar to what Iran was apparently doing five, six, seven years ago," he said. "It's going to present a lot of challenges. Analysis of the photos shows that the test was successful. 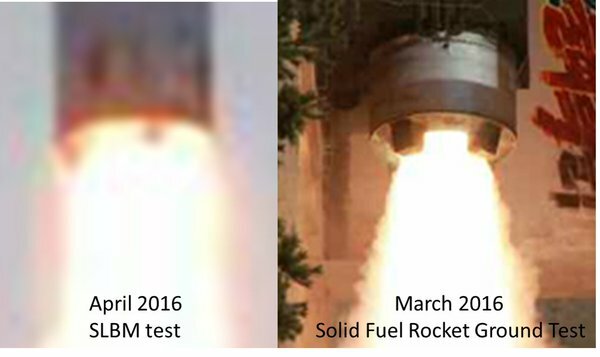 "Based on the evidence of these pictures, North Korea appears to have conducted a successful test of a large solid-fuel motor of 15-20 tonnes thrust and about one minute of burn duration," adding that it's about three times more powerful than the biggest solid motor North Korea has previously demonstrated. 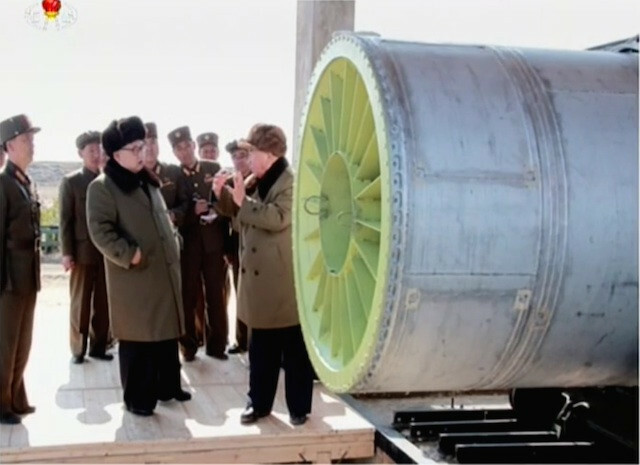 The expert said the new engine, which is believed to be 1.25 meters in diameter and 3 meters long, appears to be too heavy to be used for any existing North Korean missile systems, including its Unha space launch vehicle and the Hwasong-13/14 intercontinental ballistic missile. 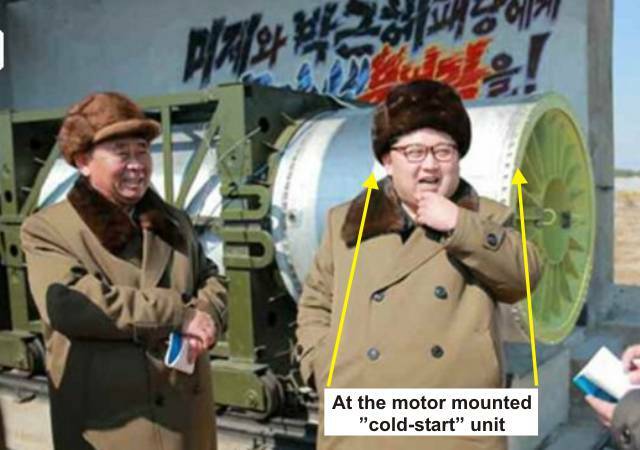 "Since there are clear disadvantages to using this motor in any existing North Korean missile systems, could a new missile be under development? 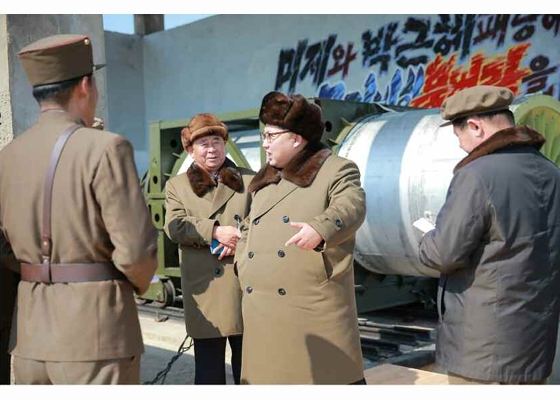 One possibility is a two-stage solid fuel replacement for the Rodong." Both Iran and Pakistan, once major customers of the Rodong, have developed two-stage solid-fuel missiles of similar size and performance but much greater robustness and operational flexibility, the expert said. Overall, last week's engine test is certainly a step forward in building solid-fuel motors, but it is only likely to result in an improvement of the regional range ballistic missiles already in the North's inventory, rather than moving the country closer to building an advanced ICBM, the expert said. North Korea conducted a ground ejection test of a submarine-launched ballistic missile last week, according to a U.S. website. 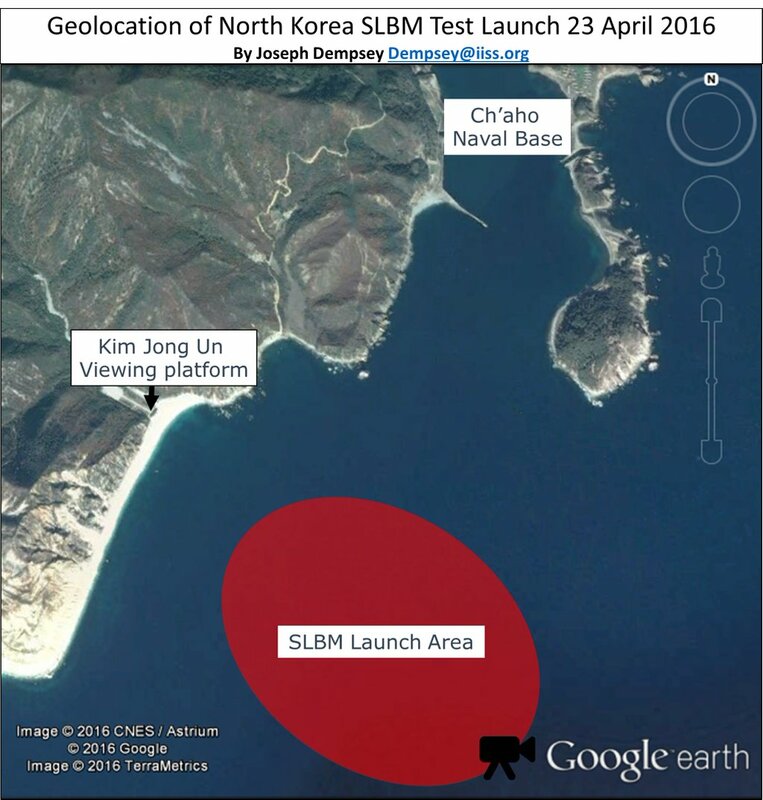 Quoting U.S. defense officials, it reported that the test on March 16 "involved a 'pop-up' or 'ejection test' of the developmental SLBM from a canister ashore at the Sinpo shipyard on North Korea's east coast" where it is being developed. 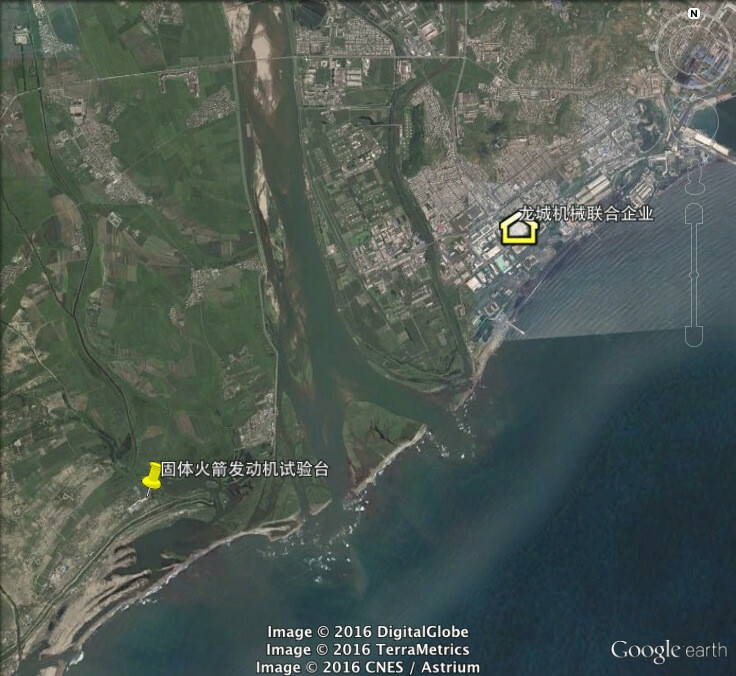 Recent commercial satellite imagery of the Sinpo South Shipyard indicates that North Korea is continuing to actively pursue development of both programs. 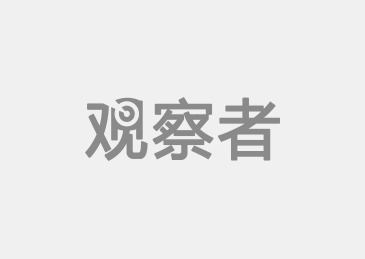 Unidentified work on the GORAE-class ballistic missile submarine during the past two months appears to have been completed. A heavy crane, engaged in that activity, has been moved to the pop-up test stand for work on the support tower. Construction and refurbishment continues at halls that will be capable of building submarines larger than the GORAE-class when completed. 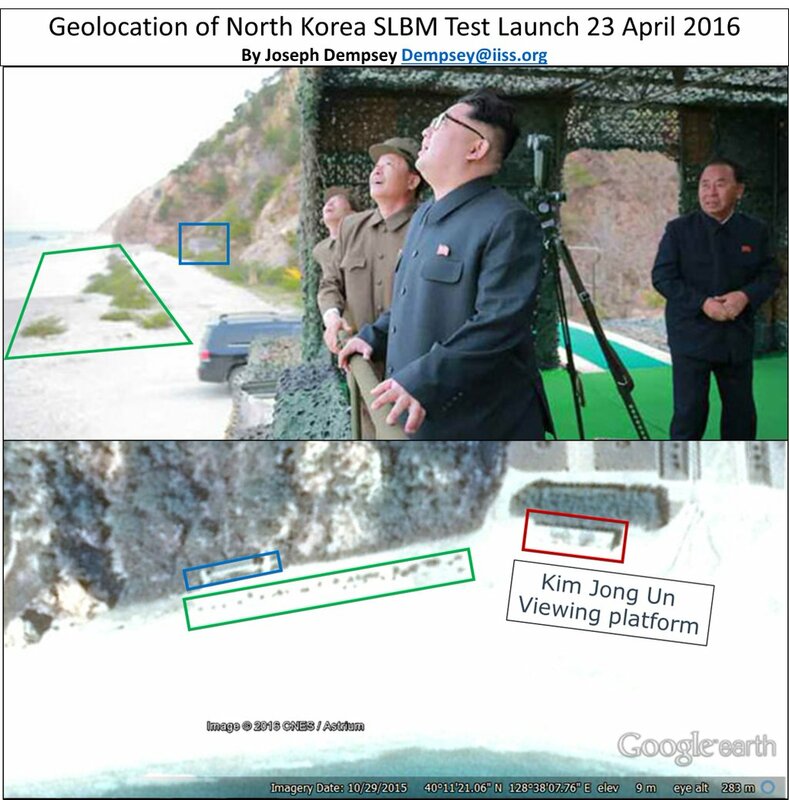 South Korean broadcaster MBN reported that South Korean military sources claimed North Korea had attempted to carry out a fourth test of a submarine-launched ballistic missile (SLBM) around dawn on 6 April 2016. 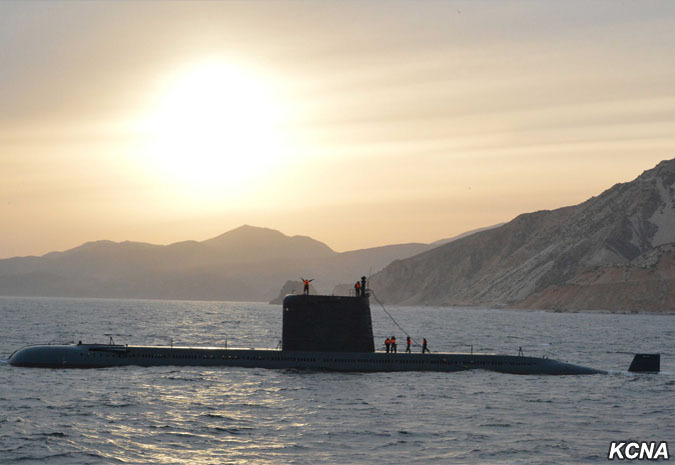 However, the Sinpo-class submarine involved returned to Wonsan port around 9:00 am local time, leading the South Korean military to believe that the test-launch had failed. A submarine-launched ballistic missile North Korea tested in early April may have been successful, despite early reports the device may have failed during testing. The missile was launched from 20 meters below water from a 1,800-ton Sinpo-class submarine, South Korean news network Channel A reported. 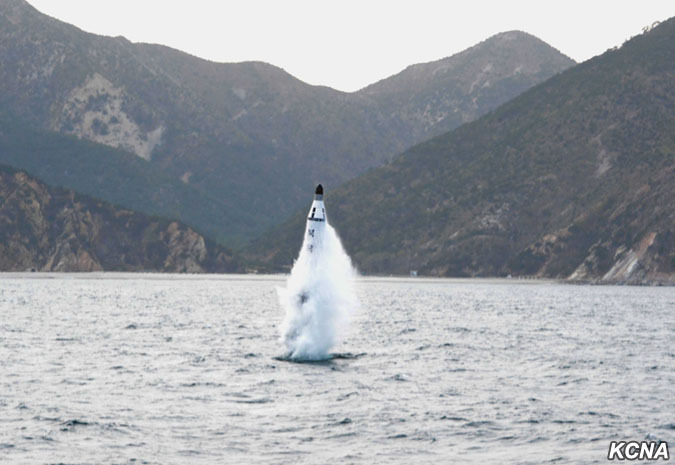 A South Korean military official said the SLBM flew about 200 meters vertically, off the eastern coast of North Korea near the port city of Sinpo. 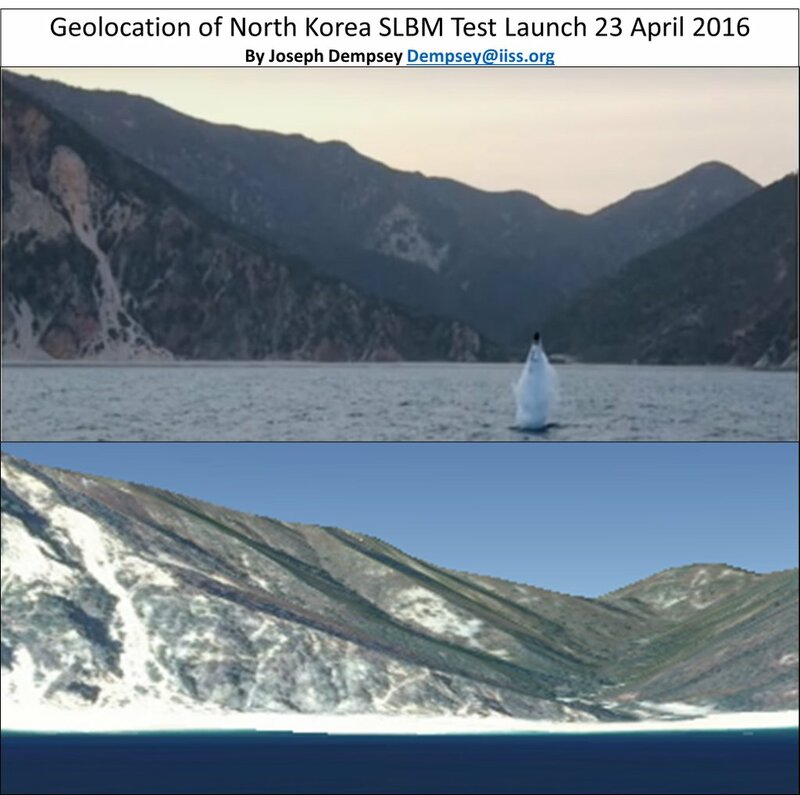 In previous reports, South Korean sources had claimed the SLBM launch, which took place April 6, was likely a failure. Edited by Soheil, 11 May 2016 - 09:37 PM. 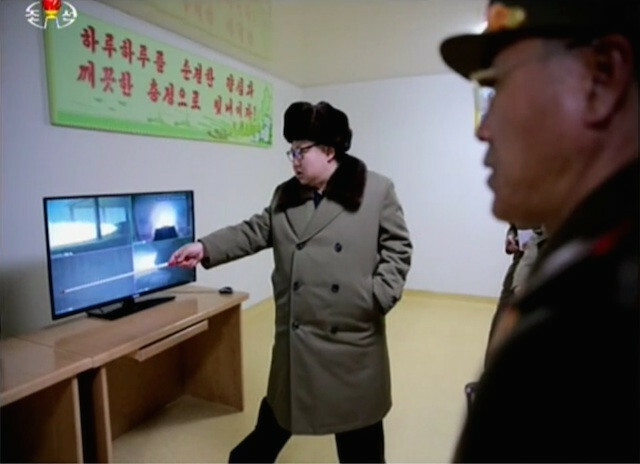 Kim Jong Un guided on the spot the underwater test-fire of strategic submarine ballistic missile. At the observation post he was briefed on the plan for the test-fire and gave an order for it. As soon as the order was issued, the submarine submerged as low as the maximum depth of waters for launching and fired the ballistic missile. 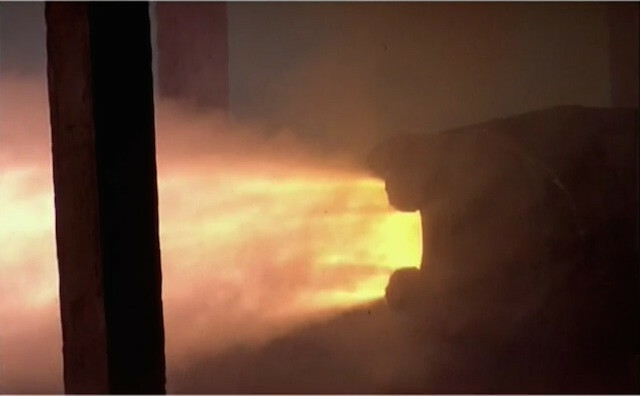 The test-fire was aimed to confirm the stability of the underwater ballistic launching system in the maximum depth of waters, flying kinetic feature under the vertical flight system of the ballistic missile powered by the newly developed high power solid fuel engine, the reliability of the phased heat separation and the working accuracy of nuclear detonating device of warhead at the preset altitude. 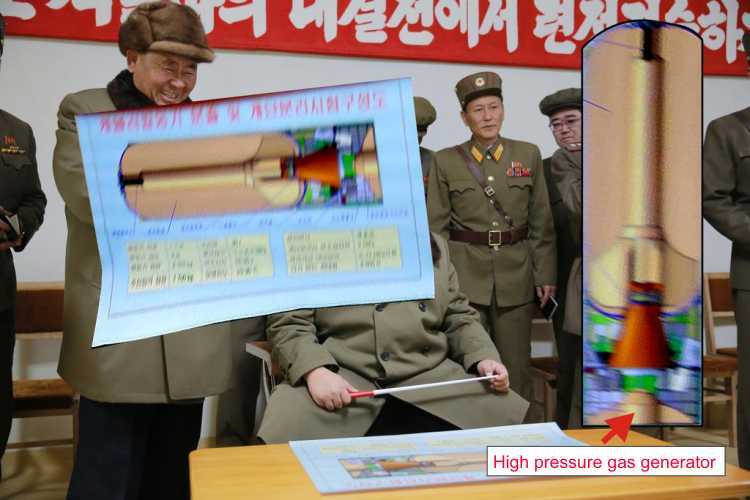 It fully confirmed and reinforced the reliability of the Korean-style underwater launching system and perfectly met all technical requirements for carrying out the Juche-based underwater attack operation. He noted with great satisfaction that Juche Korea had access to one more means for powerful nuclear attack as required by the strategic intention of the Party Central Committee. He highly praised the officials, scientists and technicians in the field of national defence science and munitions factories for having successfully rounded off the technology of underwater launching of ballistic missile from a strategic submarine at a higher level. He had a photo session with the defence scientists and service personnel of the navy who took part in the test-fire in celebration of the successful day. Edited by Soheil, 30 January 2017 - 07:58 AM. North Korea demonstrated with this launch it has mastered cold launch technology, where the missile is expelled by gas produced by a gas generator which is not part of the missile itself, and then the missile ignites. The advantage of the cold-launch system is in its safety: should a missile engine malfunction during launch, the cold-launch system can eject the missile thereby reducing or eliminating the threat. With the Pukkuksong-1 flying some 30km, it is not a full flight test but probably the most advanced test to date. A submarine-launched ballistic missile (SLBM) was fired Saturday from the East Sea water zone in the open sea direction at about 6:30 p.m. local time (0930 GMT), Seouls Joint Chiefs of Staff (JCS) said. The missile flew for a few minutes, Yonhap agency said, citing a military source. Seoul believes the missile launch was made to make a point in the wake of a key 7th meeting of North Korea Workers' Party in May. A congress of the ruling party has been summoned for the first time in 36 years. 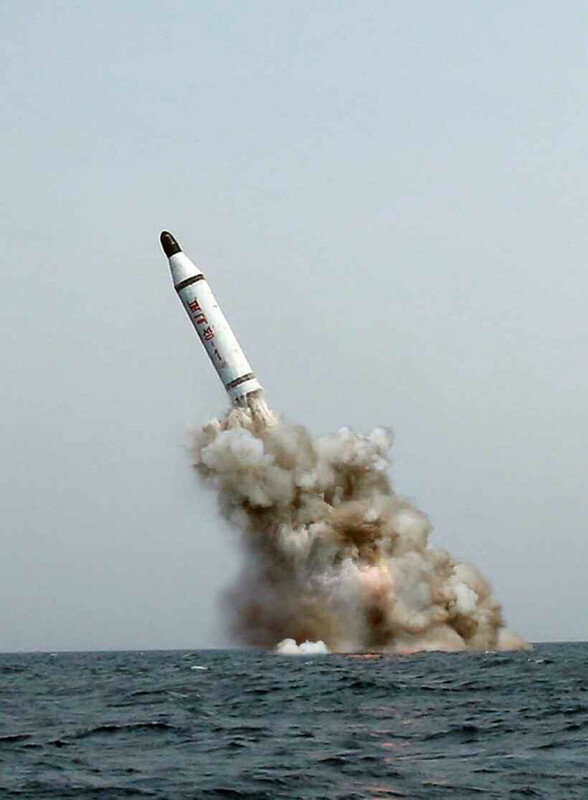 The first underwater launch of North Korean SLBM missile Pukkuksong-1 was made on November 27, 2015, and allegedly resulted in failure. 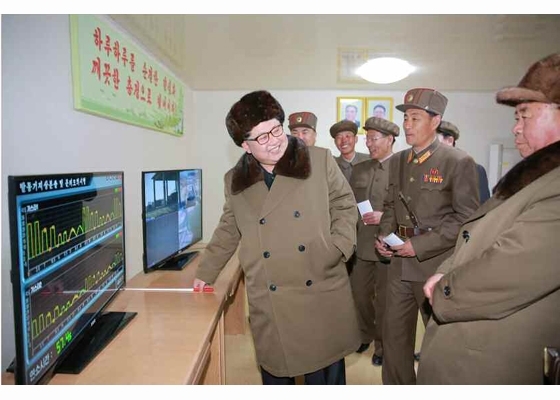 The next try on December 21 was reported to be a success, with Pyongyang demonstrating its leader Kim Jong Un observing the launch. 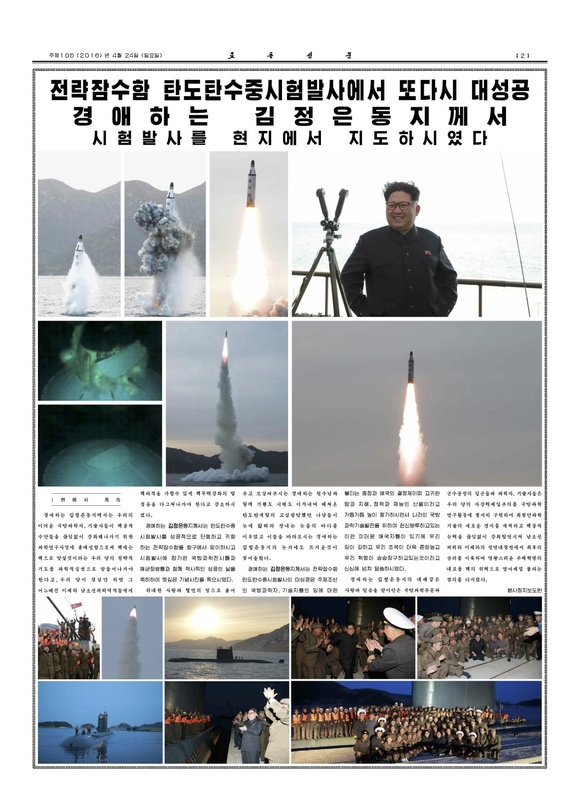 The initial information about Pyongyang using an upgraded Soviet-era ballistic missile submarine to establish the naval component of the national nuclear triad emerged in 2014. 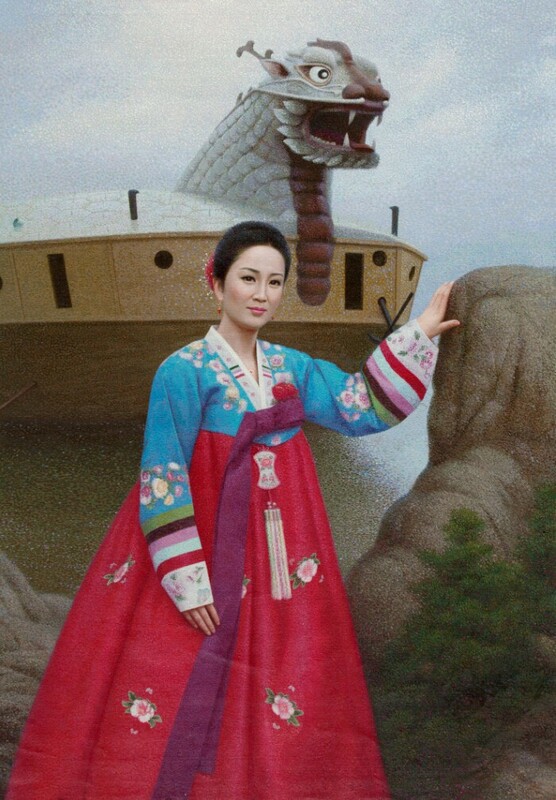 It is believed that in the early 1990s North Korea bought from Russia 10 Golf-class diesel-electric missile-capable submarines, also known as Project 629, designed in 1950s. It is believed that Pyongyang has made at least one of the seaworthy and now is using it for tasting a sea-based ballistic missile of its own. 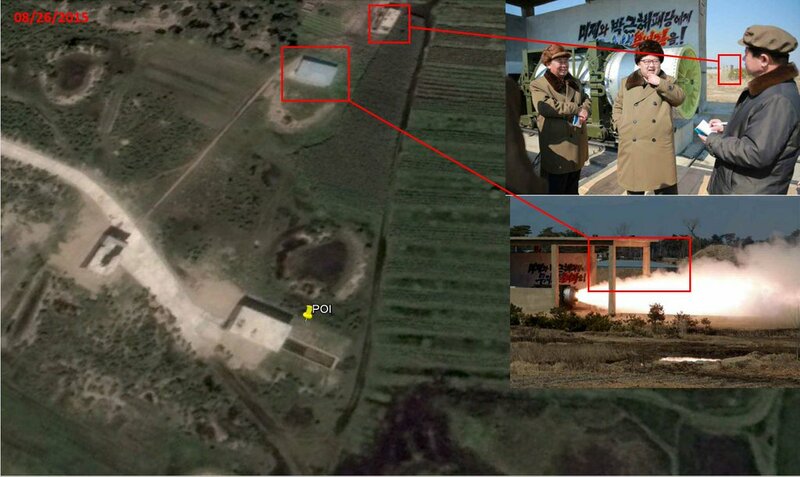 The Seoul military suspects Pyongyang of preparing its fifth nuclear test in the very near future, after satellite images exposed that North Korea had resumed tunnel excavation at its main nuclear test site. A similar activity was observed there prior to the latest alleged thermonuclear test in January. North Korea tested what it believes was a Pukkuksong-1 submarine-launched ballistic missile (SLBM) around 6:30 p.m. in the East Sea, but it flew for only about 30 kilometers, well short of the minimum SLBM range of 300 km. 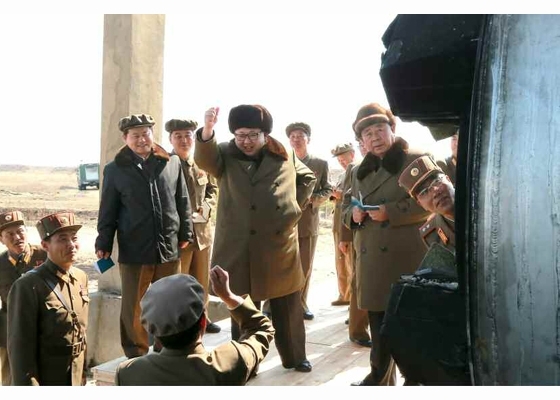 The South's Joint Chiefs of Staff (JCS) said the latest launch appeared to be North Korea's second flight test of its SLBM after a failed attempt last Dec. 25. 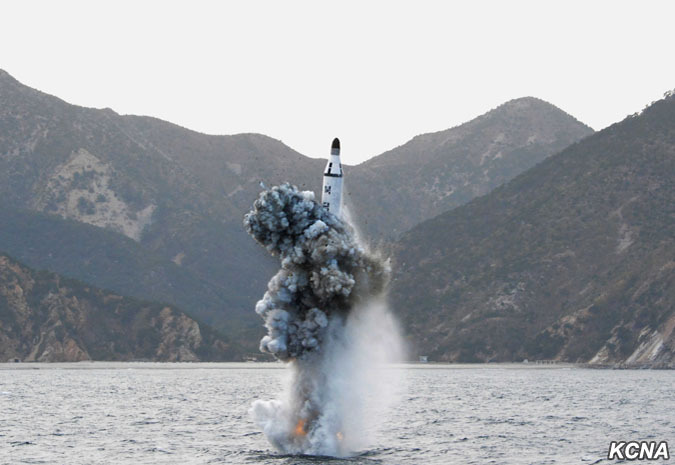 Separately, a Seoul source said the SLBM's engine ignited after it was ejected from a 2,000-ton Sinpo-class submarine, but it only traveled a short distance. 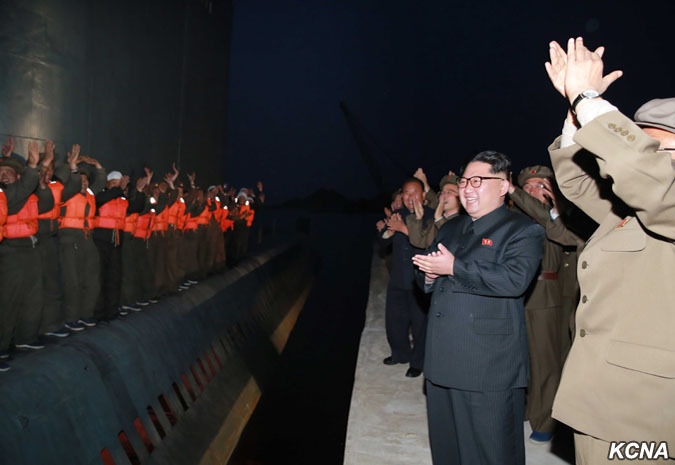 In May last year, North Korea claimed it had successfully carried out an underwater SLBM test, followed by what officials said were unsuccessful tests in November and December. Its Sinpo-class submarine was reportedly damaged during the botched Nov. 28 test, and the repair work was completed earlier this month. 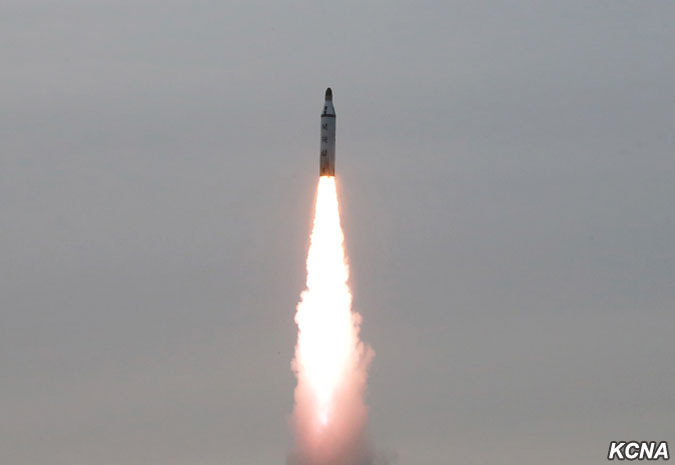 Experts say that an "ejection" test is usually conducted in the early stages of developing SLBM capabilities, and North Korea is believed to still be many years away from developing an SLBM. North Korea's latest submarine missile test suggests that it has shifted to developing a solid-fuel missile after repeated failures with a liquid-fuel engine, and the short flight distance in the latest test does not mean it's a failure, a U.S. expert said Monday. An expert on North Korean missile capabilities, said that the missile could have been carrying fuel only for that distance. "North Korea has revealed images of a submarine-launched ballistic missile test indicating that it has abandoned the liquid-fuel design that has consistently failed in the past and switched to a more robust solid-propellant system that will have a better chance of actually working in an operational environment." "The new design is still in the earliest stages of testing, and much work, including development of a full-scale motor, needs to be done. Nevertheless, the simpler design is likely to be less troublesome to develop and could be ready by 2020," he said. 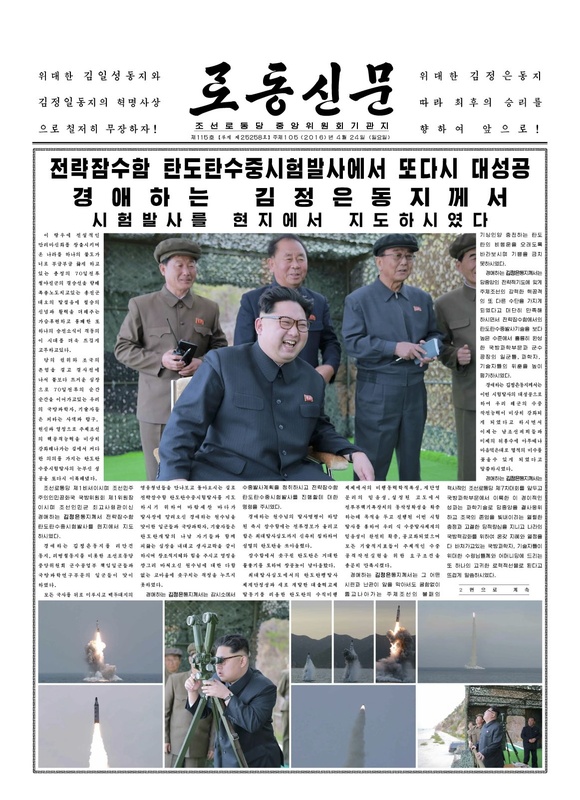 Images North Korea released after last year's SLBM test showed yellow-orange streak of fire from the missile's tail, a key sign that the missile runs on liquid fuel. 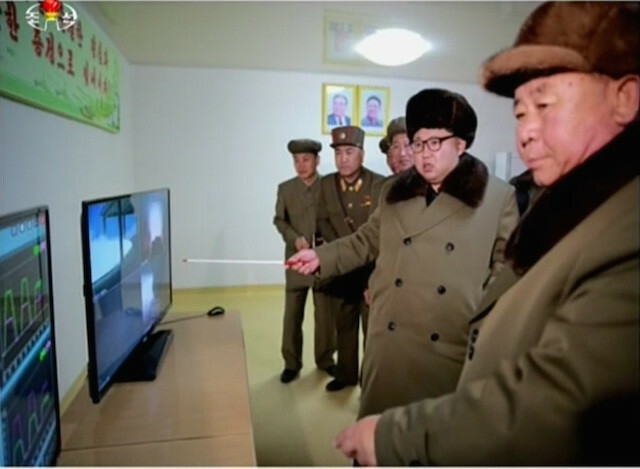 But images of the latest test show "an almost incandescent white plume," suggesting it's using solid fuel, he said. With regard to the flight distance, the expert said that flying 30 km is not an easy job. "In order to fly even 30 km, a ballistic missile has to not only launch successfully but accelerate well past the speed of sound. For a single-stage missile, those are the hard parts. 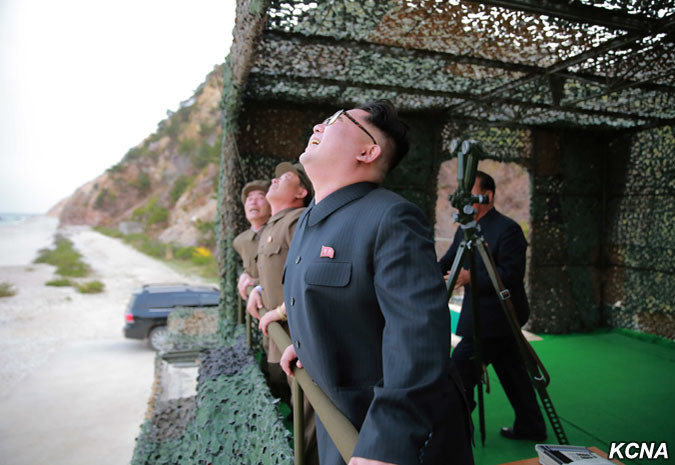 Once accomplished, the safe bet is that the missile will continue to accelerate until it runs out of fuel," he said. 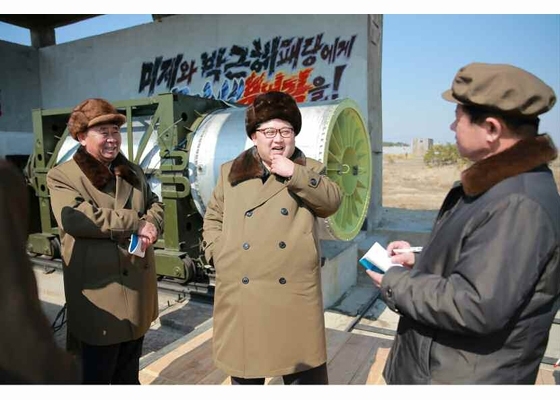 "If the missile flew 30 km, there is a good chance it was only carrying fuel for 30 km. To be fair, after four failed test launches, one can understand the test crew not wanting to have a full 10 to 20 tons of rocket fuel falling on their heads, expensive barges or submarines," he said. Compared with a liquid-fuel missile, a solid-fuel missile has much less range. 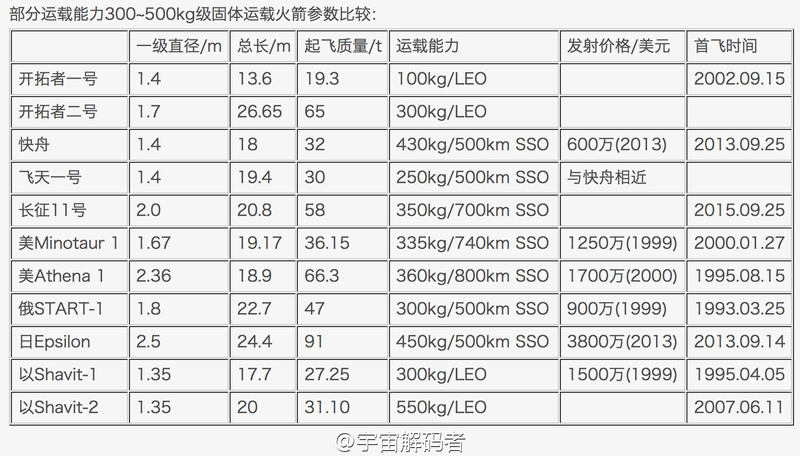 If equipped with a liquid-fuel engine, North Korea's SLBM, also known as Pukkuksong-1, would have flown 1600 km with a 650 kg warhead, but a single-stage solid-propellant version will probably be good for only 900 km, he said. "This range is still enough to reach all of South Korea and parts of Japan from North Korean territorial waters. If the boat ventures even a little ways into the Sea of Japan, it can reach targets anywhere in Japan," he said. "And the ability of North Korea's submarine force to reach targets further afield has always depended on the ability of the submarines to reach the open sea, not on the range of the missiles. If a North Korean submarine can escape the Sea of Japan and come within 1600 km of Guam, or Hawaii, it can almost certainly cover an extra 700 km," he added. A test-fire of strategic submarine-launched ballistic missile was successfully conducted under the guidance of supreme commander of the Korean People's Army (KPA) Kim Jong Un, chairman of the Workers' Party of Korea (WPK) and chairman of the State Affairs Commission of the DPRK. At the observation post he was briefed on the plan for the test-fire. As soon as he issued an order to start the test-fire, the strategic submarine submerged up to a depth for firing the ballistic missile and rapidly launched the ballistic missile. 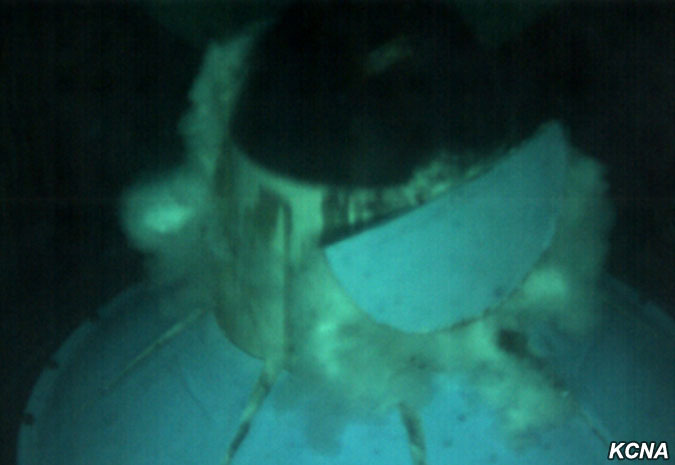 The test-fire which was conducted under a high-angle fire system in the maximum launching depth reconfirmed the stability of the underwater ballistic launching system, the starting character of the high power solid fuel engine and phased flying kinetic feature after coming up to the surface of the water. It proved that the core technical indexes of the ballistic missile including the reliability of the phased heat separation and the control and guidance system and the working accuracy of the warhead in the re-entry section perfectly met all requirements for operation. 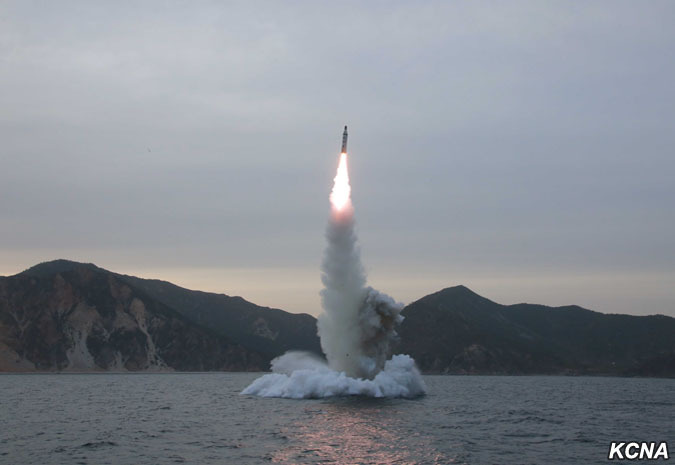 The SLBM test-fire was successfully carried out without any adverse impact on neighboring countries. 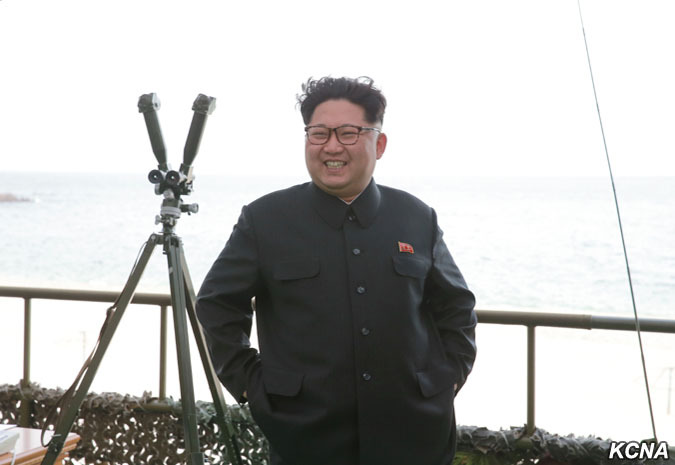 Watching the trajectory of the ballistic missile Pukguksong, he said with pleasure that it was a great manifestation and demonstration of the tremendous power and inexhaustible muscle of the DPRK and he felt enormous energy was welling out. He appreciated the test-fire as the greatest success and victory and highly praised the officials, scientists and technicians in the field of national defence science and munitions factories for having perfectly acquired the technology of SLBM in a short span of time and extended special thanks to them in the name of the Central Committee and the Central Military Commission of the WPK and the supreme commander of the KPA. 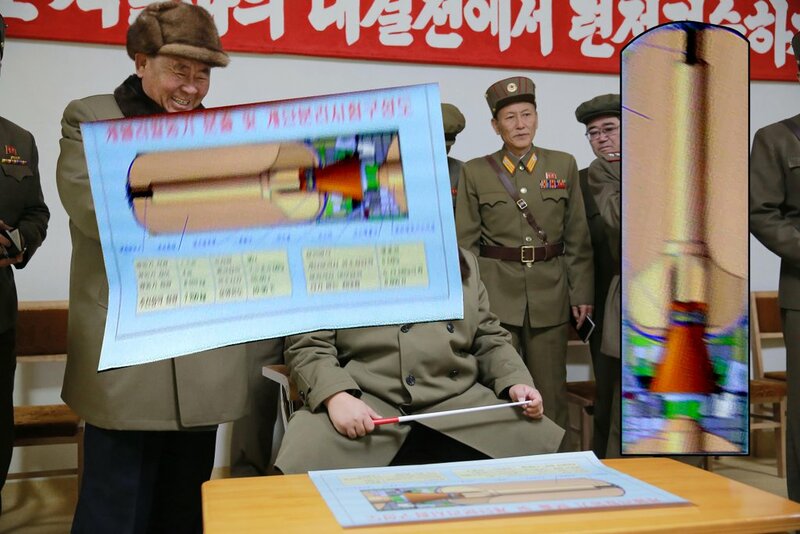 He noted with pride that the results of the test-fire proved in actuality that the DPRK joined the front rank of the military powers fully equipped with nuclear attack capability. The U.S. vicious nuclear threat and blackmail against the DPRK only resulted in bolstering up its nuclear attack capability hour by hour and the U.S. mainland and the operational theatre in the Pacific are now within the striking range of the KPA, no matter how hard the U.S. tries to deny it, he said. Strongly warning the U.S. imperialists and the south Korean puppet group staging the joint military exercise aiming at a preemptive nuclear strike at the DPRK with huge nuclear strategic assets involved and thereby seriously rattling its nerves, he said the Korean people would deal merciless blows at them with nuclear hammers of justice so that nails of injustice may not come out again, once an opportunity is given, now that the DPRK has in place all substantial means capable of standing up against the U.S. nuclear hegemony. He noted: "I do not guess what ridiculous remarks the U.S. and its followers will make about this test-fire, but I can say their rash acts will only precipitate their self-destruction. 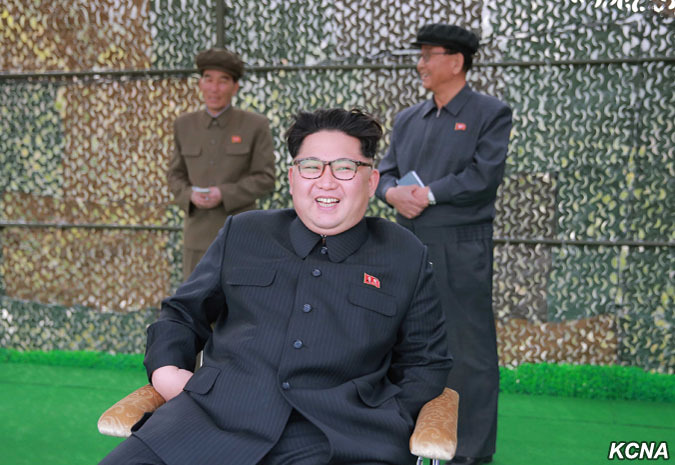 The best way of escaping the deadly strike of the infuriated KPA is to refrain from hurting the dignity and security of the DPRK with prudence and self-control." Warning the enemies not to underestimate the might of the DPRK, he said it would clearly show the world how it would proudly tower, after breaking the chains of sanctions, blockade and pressure of the enemies. He stressed the need for the field of national defence science to put increased spurs to mounting nuclear warheads on ballistic missiles in order to cope with the unpredicted total war and nuclear war with the U.S. imperialists and, at the same time, focus all efforts on the development of means of their delivery. 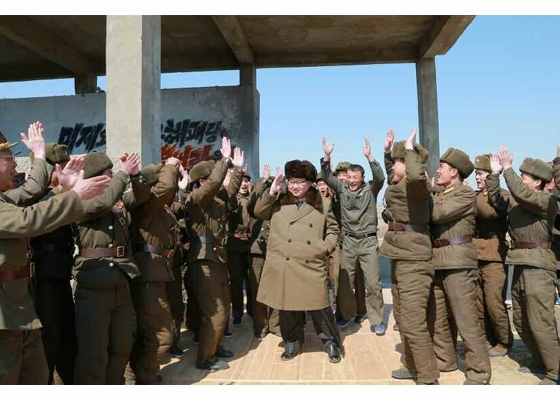 He instructed officials to take a series of all eventful actions to demonstrate the DPRK's muscle as a full-fledged military power if the enemies try to threaten its dignity and the right to existence even a bit. He warmly greeted the national defence scientists and service personnel of the navy returning to the port after the successful test-fire and warmly congratulated them. Edited by Soheil, 30 January 2017 - 08:37 AM. 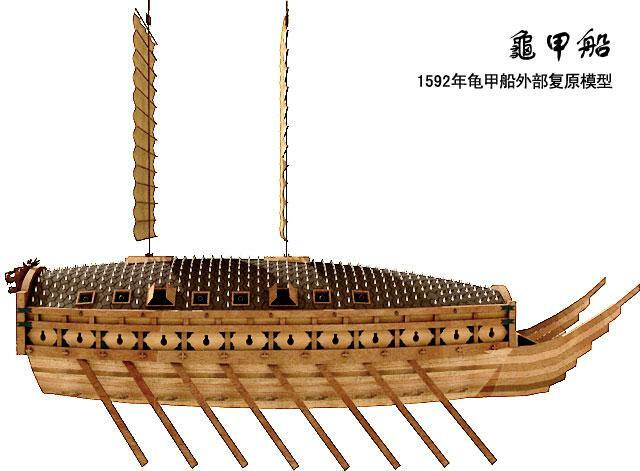 The turtle ships built by Admiral Yi Sun Shin to repel the Japanese invasion in the 16th century have been named as among the best warships of all time. 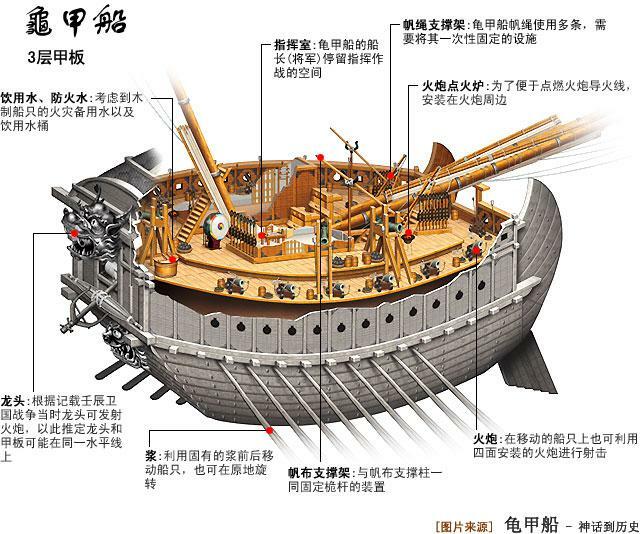 The turtle ships take their rightful place among modern warships like the first nuclear-powered submarine and aircraft carriers. They were included as a result of a poll of 26,000 military experts. 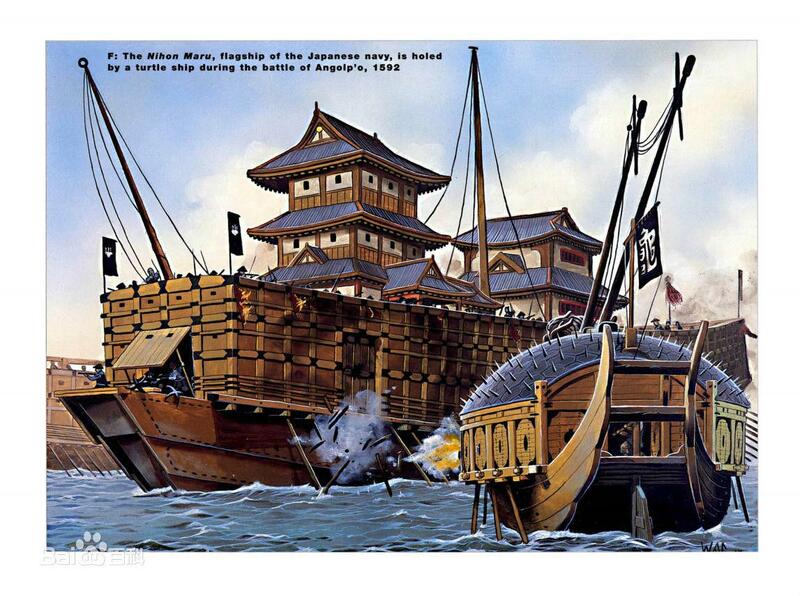 The Turtle ships with their convex-covered decks "were not only virtually impenetrable, but also fast and maneuverable." 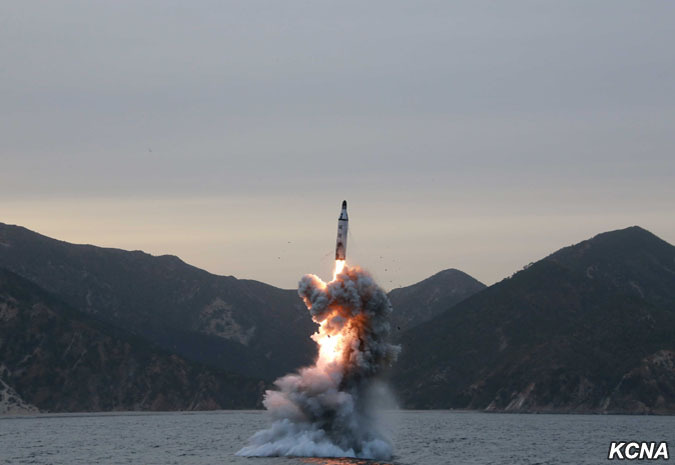 On Saturday, North Korea fired a SLBM from a 2,000-ton Sinpo-class submarine in the East Sea in its latest SLBM test-firing after the country first publicized it carried out a SLBM ejection test in May 2015. After soaring from the water, the ballistic missile flew some 30 kilometers. North Korea's current 2,000-ton submarine can embark and launch one SLBM from about 10 to 15 meters below the water's surface. This shallow depth puts the submarine at greater risk of detection compared with bigger SLBM-equipped submarines that could go down some 50 meters, the experts said. North Korea may be in the process of developing a 3,000-ton submarine that can provide a stable platform to launch three submarine-launched ballistic missiles (SLBM) as the country is scurrying to enhance its nuclear delivery capability, military experts here said Monday. 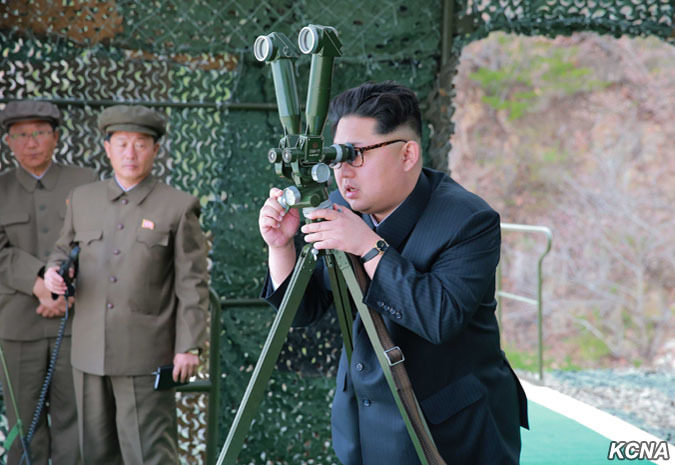 Local military observers said to meet such a goal, North Korea may move to test-fire SLBMs until it is confident in launching a missile that can fly as far as 2,000 kilometers, the experts also predicted. 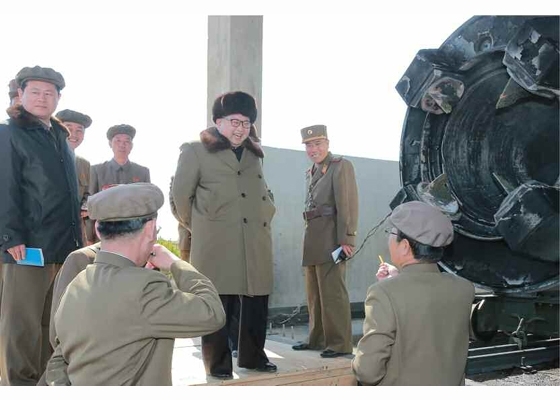 Although the flight distance fell far short of a regular SLBM that could fly several thousand kilometers, South experts assessed that North Korea has made progress in advancing its technology from the initial ejection test stage to the flight test phase. Recent satellite imagery shows North Korea is forging ahead with development of a submarine-launched ballistic missile. 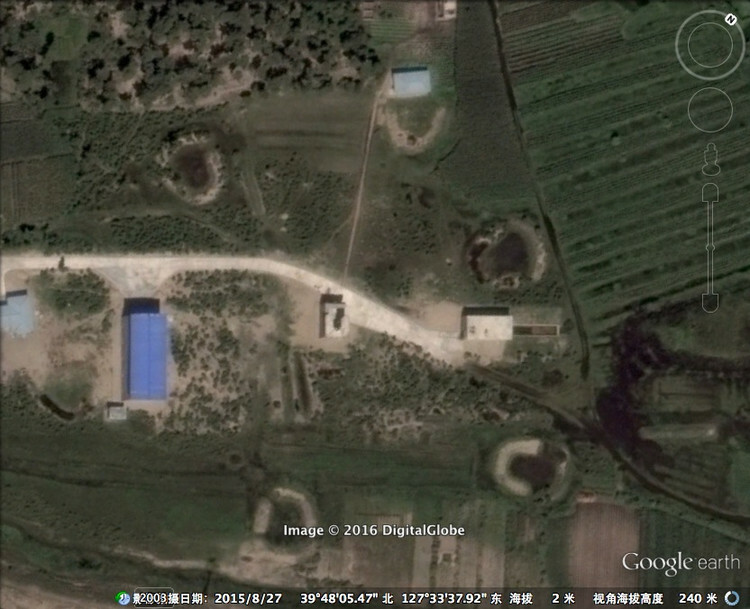 The imagery taken of North Korea's Shinpo Shipyard on April 29, six days after North Korea's latest SLBM test, shows that a submersible missile test stand barge has been moved from its normal position. 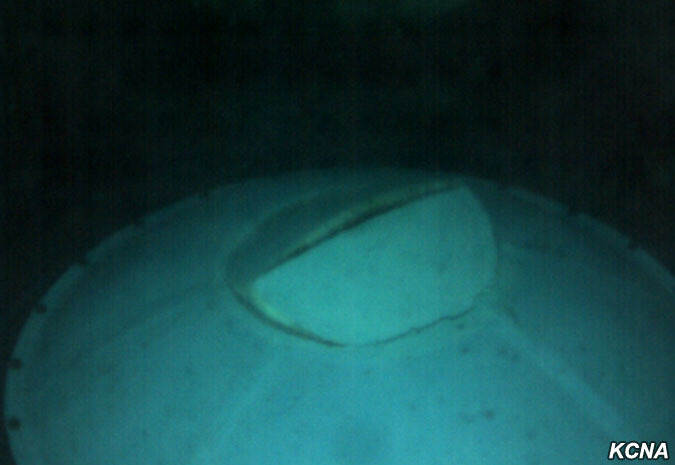 "This shift in location suggests that the SLBM program may be moving towards a more advanced stage of development where the need for a submersible test stand barge has diminished". "That conclusion appears to be reinforced by recent test launches from the submarine itself rather than the barge." It described North Korea's SLBM test as "successful." the construction of a new class of submarine ... to be completed by 9 September 2018 to mark the 70th anniversary of the founding of the nation, would be capable of firing two or three ballistic missiles, said the paper. North Korea recently completed a large dock capable of building 10,000-ton-class submarines in a shipyard in Sinpo, South Hamkyong Province. "In accordance with North Korean leader Kim Jong Un's instruction to build a 10,000-ton sub in 2014, the existing dock in Sinpo was expanded. 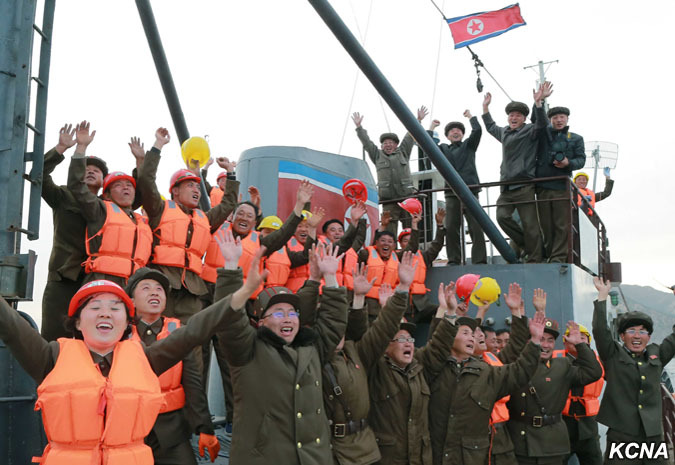 Experienced engineers and technicians working at a shipyard in Chongjin, North Hamkyong Province, along with their family members, also have moved to Sinpo to build submarines, according to the source. Apart from that, two 3,000-ton-class subs are currently under construction at the shipyards in Sinpo and Chongjin, the source said. Interesting DPRK Today video hinting at future Submarine-Launched Intercontinental Ballistic Missiles and associated Ballistic Missile Submarines (SSBN) still to be disclosed. Footage of Hwasong-6 Short Range Ballistic Missile is not consistent with its aim. Using computer-generated graphics, video clip titled Last chance features North Korea launching a nuclear attack on the capital of the US. 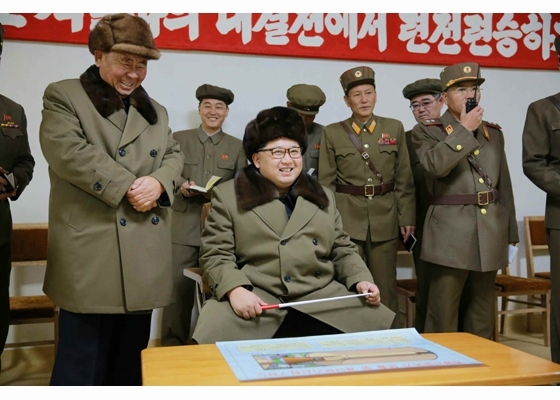 Captions say that if Washington attempts another provocative act, Pyongyang will use nuclear weapons without hesitation. The video posted on a YouTube channel of North Korean media DPRK Today demonstrates the country's military capabilities and narrates a story of its relations with the US. At the end of the video, North Korea launches a ballistic missile which hits Washington, and the American flag is shown in flames. Edited by Soheil, 31 January 2017 - 09:29 AM. 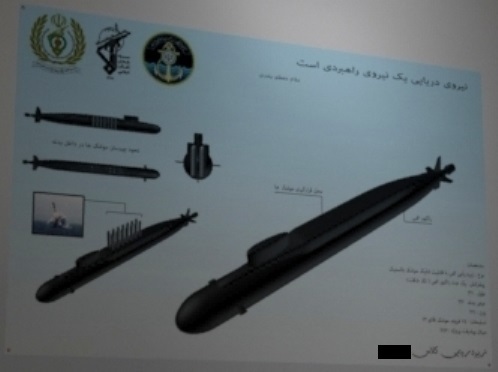 TEHRAN (FNA)- A senior Iranian Navy commander stressed Iran's high capabilities in designing and manufacturing different types of submarines, and announced the country's move towards manufacturing nuclear-powered submarines. Speaking to FNA on Tuesday, Lieutenant Commander of the Navy for Technical Affairs Rear Admiral Abbas Zamini pointed to the navy's plan to manufacture super heavy nuclear-powered submarines, and stated, "Right now, we are at the initial phases of manufacturing atomic submarines." He noted Iran's astonishing progress in developing and acquiring civilian nuclear technology for various power-generation, agricultural and medical purposes, and said such advancements allow Iran to think of manufacturing nuclear-fueled submarines. He further reminded that using nuclear power to fuel submarines is among the civilian uses of the nuclear technology and all countries are, thus, entitled to the right to make such a use. TEHRAN (FNA)- Iranian President Hassan Rouhani on Tuesday ordered the country's nuclear agency to start plans to produce nuclear fuel and propulsion systems for ships and submarines in response to the violation of the Vienna deal by Washington. "Considering that the US administration has ignored and delayed compliance with its undertakings under the JCPOA (Joint Comprehensive Plan of Action), and given the recent extension of the Iran Sanctions Act (ISA) that had already been declared as a violation of the nuclear deal by the Islamic Republic of Iran..., the Atomic Energy Organization of Iran is ordered to develop the country's peaceful nuclear program within the framework of the Islamic Republic of Iran's international undertakings as defined in the following missions," President Rouhani said in a letter to AEOI Chief Ali Akbar Salehi on Tuesday. First, President Rouhani said, the AEOI is required "to plan for designing and building propulsion systems to be used in marine transportation in cooperation with scientific and research centers". He also asked the Iranian nuclear agency to conduct studies to design "production of fuel for nuclear propulsion systems". Rouhani required Zarif to inform him of his actions and their results in one month, while he asked Salehi to report back to him in maximum 3 months. Nuclear propulsion uses a nuclear power reactor to generate electricity on a vessel. Such systems are best known for their use on strategic nuclear submarines, which allow them to stay submerged for weeks avoiding detection. Nuclear propulsion is also used on some big surface ships like aircraft carriers or icebreakers. Edited by Soheil, 30 January 2017 - 07:52 AM.